New equipment can be expensive and it may not fit within your budget. Or, your equipment may be uniquely suited to your product and process, but it’s become unreliable causing both production and quality to suffer. These are just a few of the reasons to consider a complete machine rebuild by Bardons & Oliver. In most cases, our team can improve machine performance by going beyond the standing rebuilding process and adding features not available when your machine was purchased new. Bardons & Oliver can rebuild many other types and brands of lathe equipment in addition to our own equipment. Bardons & Oliver machine rebuilders have the professional expertise to assess when a rebuild makes sense for your business. 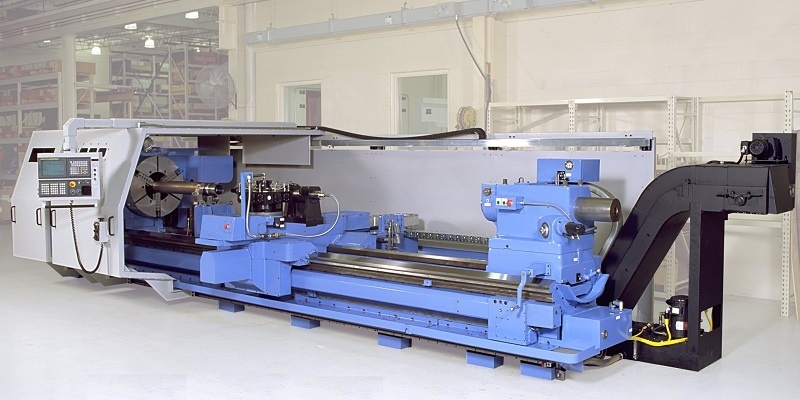 With more than a century of manufacturing experience with our own line of CNC cutoff lathes, rotating head cutoff machines, CNC turning machines and cylinder tube and chrome bar processing equipment, we are equipment experts. We know what improvements have been made and which features can improve efficiency and add quality to your finished parts. Here’s what you can expect from our process. First, we analyze your machine’s overall condition, understand your needs and concerns and then work with you to determine if a machine rebuild is a viable option for you. If a rebuild looks like a viable solution, we will then provide you a formal proposal outlining the scope of work and suggested rebuild options. You choose what rebuild options you want, and then the process begins. Bardons & Oliver takes your existing machine (or another sourced core machine) and completely disassembles it. Every part is cleaned and examined for fit and function. Worn or damaged parts are either repaired or replaced. Bedways and other wear surfaces are replaced or reground to new or better than new specs. All bearings, seals, wipers, wiring, switches, pumps, valves and hoses are also replaced. As specified, new technology is incorporated into the machine during the build process so that your machine will have improved performance and capabilities. Your machine will be fitted with new state-of-the-art control and electrical components to provide the best reliability. Your machine will be built by our team of skilled and experienced craftsman. The final product is a machine built from the ground up that performs better than new and is sure to provide you with many years of value. Bardons & Oliver has achieved ISO 9001:2008 with design. This distinction exemplifies the superb quality, design, and delivery results that have made us leaders in the Machine Tool and Contract Machining business.